Why Do Handwritten Notes Matter More? When you have a message from the heart that you want to resonate, consider one basketball coach’s strategy: handwritten notes. For the past three decades, Jerry Wainwright has handwritten 300 to 500 notes a week. The associate head coach at California State University, Fresno, sends them to former players and others he’s met during his career. Emails or texts would save time, of course, but Wainwright doesn’t think they would be as meaningful. Wainwright’s efforts illustrate the power of words on paper. Research shows the health benefits of handwriting and how it can help people heal, make them happier and even improve sleep. Some recipients keep all of Wainwright’s letters, filling binders so they can reread the notes when they need encouragement. Others hang them in gyms or locker rooms across the country, inspiring themselves and others. It’s a small example of how paper stands the test of time. Some paper documents date back over two millennia. Whether it’s the original Dead Sea Scrolls, Leonardo da Vinci’s hand-drawn Vitruvian Man or Beethoven’s symphonies, you can view the original papers without having to worry about multiple versions or computer crashes. Besides those masterpieces in museums, paper’s timelessness also applies at home. Consider the scrapbook marking the special milestones in your life, or those treasured handwritten notes tucked away in your keepsake box. Seeing them is just part of the experience. You can hold these precious memories in your hand, eliciting emotions impossible to replicate on a computer screen. 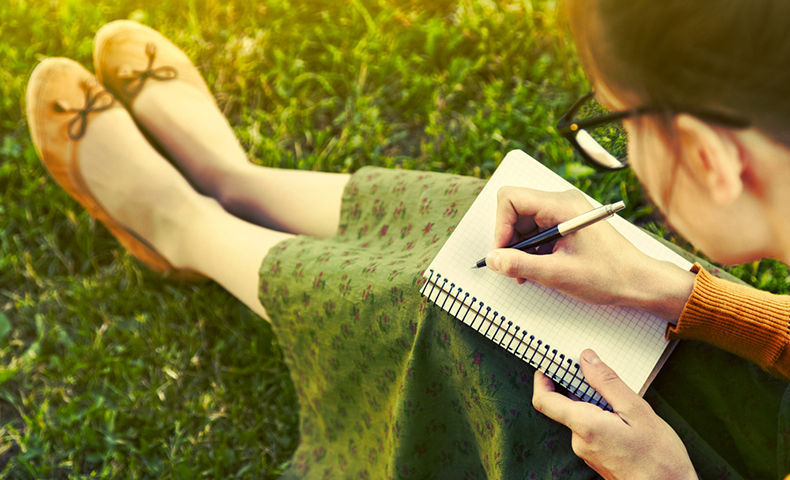 The emotional bond associated with handwritten messages is backed up by research. Nearly one-third of Americans keep the special cards they receive forever, according to a national survey by the Greeting Card Association (GCA). The special cards can come from strangers such as Hannah Brencher. Her family had always communicated by letter, so when she became depressed after college, she tried the same strategy. She left handwritten letters in libraries and cafes for strangers to discover. It sparked a global exchange and spurred Brencher to start a website called The World Needs More Love Letters, which facilitates letter-writing among strangers. Notes can also connect strangers while honoring loved ones. Hyong Yi, an assistant city manager in Charlotte, North Carolina, for example, wrote 100 distinct love notes in memory of his wife on the anniversary of her death from ovarian cancer. Yi’s children, ages 10 and 7, joined him in the project, passing the notes to strangers throughout Charlotte and in front of the church where his wife is buried. The outreach on the street caused some to shed tears or share hugs. Soon it made national news and went viral. And, perhaps most importantly, it prompted many to write love letters to their own families.